Dedicated to the history of North Carolina and its inhabitants, the North Carolina Museum of History brings the past to life. As the Museum likes to say, "History Happens Here," with figures such as adventurer Daniel Boone, First Lady Dolly Madison, basketball legend Michael Jordan and many more calling this state home. Working to bring the past to new generations, the Museum presents ongoing and rotating exhibits, as well as a permanent collection of artifacts highlighting history of the area. The permanent collection houses more than 150,000 artifacts, spanning six centuries, which the Museum then features through the exhibits focusing on specific themes and topics. The history of the Museum itself dates back to the late 1880s during a visit to Boston by Raleigh resident and publisher Samuel A'Court Ashe. Inspired by the well-preserved history of the northern city, Ashe set about to preserve the story of North Carolina. This inspiration spiraled into a movement, gathering support from Ashe's colleague, Frederick August Olds. Olds began collecting historical items and memorabilia of the state, but more than this, he began collecting stories, as well. By the turn of the century, he had amassed quite a collection, put on display for the public in what was then known as the State Museum. The Historical Commission took over the collection in 1914, with the mission not only to preserve historical material, but also to teach history of the state. The Museum continued to expand and grow through the next several decades, moving to a purpose built structure in 1939. 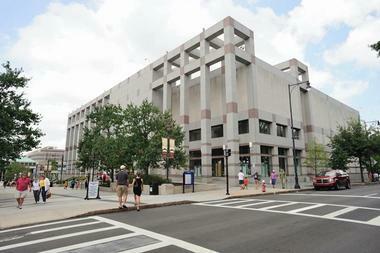 In 1965, the organization officially changed its name from the State Museum to the North Carolina Museum of History. The Museum would see two more moves until it finally found its current home on east Edenton Street in 1992, in a 55,000 square foot space, replete with shops, storage, auditorium, and conservation lab. With space to house more than a quarter million artifacts, this new space is the future home of more of the past. 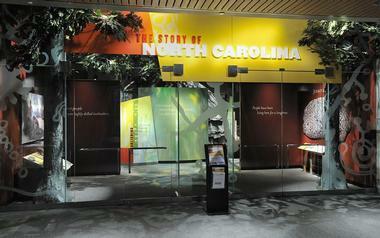 The exhibits of North Carolina Museum of History cover a wide range of topics, tales and time periods. 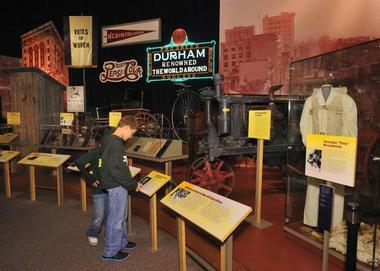 Such exhibits include History of the Harvest and North Carolina Sport Hall of Fame. Some focus in on a specific important event that may be outside the state, such as Selma to Montgomery: A March for the Right to Vote, a photographic telling of the 1964 March for African American voting rights which took place in Alabama. Other exhibits focus on the on North Carolina artists, highlighting their work and the times during which they created their art. 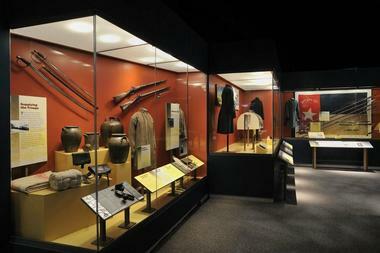 The Museum has also displayed several exhibits focusing on the Civil War and North Carolina's role in it. Exhibitions can be rotated or may be part of a traveling series. Visitors are advised to check the Museum's website prior to visiting to see what's on during their visit. The Museum's collections, with more than 150,000 objects, are the tools through which the organization interprets history and tells the story. These include items related to minority communities, the State's colonial history, the Civil War, and even the Wright Brothers' breakthrough contributions to manned flight. 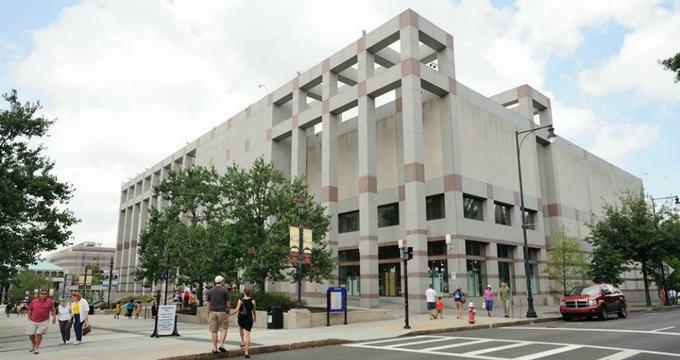 This vast collection and its preservation and expansion enable to the North Carolina Museum of History to fulfill its mission to collect and preserve artifacts and historical materials of the state. Another key component to delivering this mission is education. Conservation Assistance Days, held periodically throughout the year, allow patrons to bring in items of interest for assessment by Museum Staff. Artifacts will be examined, and staff will advise the owners on proper care and conservation of the items. Actions such as this enable the Museum to extend its mission beyond its walls, ensuring proper maintenance of historical items owned by members of the community. 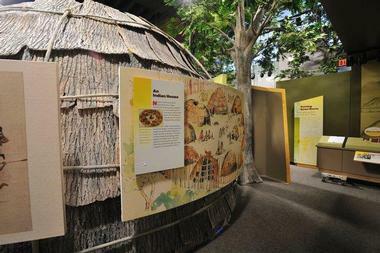 Other educational endeavors of the North Carolina Museum of History include resources for educators, including free museum tours, or fee based tours on specific topics and curriculum. For those looking for learning, but cannot make it to the Museum in person, online materials including videos and podcasts make it easy to engage in history right in the comforts of home. Lectures, symposiums, internship and volunteer opportunities also educate the public while providing myriad ways to get involved with the organization. The Museum also offers special activities for kids in order to promote learning, keep children actively engaged, and create fun interactions with the exhibits and collections. The Tar Heel Junior Historian Association at the Museum works to attract students in the area to get them involved in meaningful historical projects, such as raising funds and awareness for the restoration of a historical carousel or a forgotten cemetery. This active and meaningful engagement helps to inspire a love for history and preservation in the next generation. Conveniently located in downtown Raleigh, North Carolina, the North Carolina Museum of History is easily accessible from major freeways. Parking structures are available within two blocks of the Museum. Events and exhibits change periodically, so it is advisable to review the website and calendar of events prior to arrival. Visitors can also access pre-visit materials online, recommended classroom tours, a gallery hunt, tips for analyzing artifacts, and much more. All of this, combined with exciting events and a state full of incredible history, make for an entertaining and educational time at the North Carolina Museum of History. In addition to its ongoing and rotating cadre of exhibits, the North Carolina Museum of History also hosts a variety of events throughout the year to create engaging interactions for the community. These include such activities as book signings, films, fairs, and concerts featuring local musicians and folk artists. Annual festivals, such as the American Indian Heritage Celebration or the African American Cultural Celebration create engaging ways to interact with history and heritage.